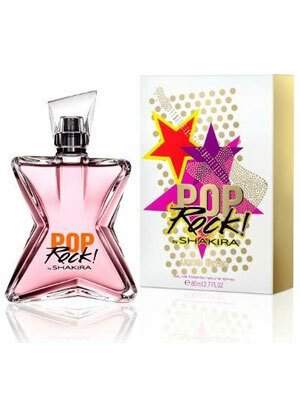 Pop Rock by Shakira is a fruity floral fragrance with notes of mandarin, raspberry, gardenia, rose, jasmine, cedar, and amber. This perfume for women captures the rock star passion and energy. Launched in Spring 2016 and available in eau de toilette spray.